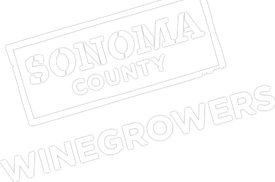 The Sonoma County Winegrape Commission and California Association of Winegrape Growers (CAWG) are sponsoring a Smart Marketer Seminar on Thursday, April 11, from 4:00-6:00pm at the Hilton Hotel in Santa Rosa located at 3555 Round Barn Blvd., Santa Rosa, CA 95403. There is no charge to attend with pre-registration. The Seminar kicks off with a grape and bulk wine market update by Brian Clements of Turrentine Brokers. This will include forecasting the 2013 grape and bulk wine sales market, trends in grape contracts, and the state of buyer interest. The topic of Neighbor and Community Relations as an issue to be addressed by growers is critical in our increasingly urban environment. Liz Thach, Professor Business Administration, Sonoma State University, who helped to construct the California Sustainable Winegrowing Alliance’s (CSWA) Code of Sustainable Winegrowing chapter on Neighbor and Community Relations. This will include awareness of potential and existing community issues that can affect an agricultural operation and possible mitigation suggestions. Sonoma County Winegrape Commission’s (SCWC) Karissa Kruse will introduce SCWC’s new Community Relations outreach program and inform growers of our collective role and responsibility to demonstrate—with facts—that the majority of growers are reliable protectors of the environment and committed to sustainable winegrowing practices. Check-in begins at 3:45pm with the seminar starting promptly at 4:00pm, running until 6:00pm. RSVP to attend by April 8. For more information, contact Karen at 707-522-5862 or [email protected].